Mandelic acid is an aromatic alpha hydroxy acid with the molecular formula C6H5CH(OH)CO2H. It is a white crystalline solid that is soluble in water and polar organic solvents. It is a useful precursor to various drugs. The molecule is chiral. The racemicmixture is known as paramandelic acid. For those who are trying to fade the effects of dark spots on face, uneven skin tone, repair sun damage, and trying to treat the inflammation that occurs with acne; chemical peels that use alpha hydroxy acids (AHAs), such as a mandelic acid peel, can be quite effective. Mandelic acid, like glycolic and lactic acids, is an AHA that gently adheres to the skin in order to peel away dead and dying skin cells so that new cell growth is revealed and so that new skin cells grow faster. After several treatments, a mandelic acid peel can fade dark spots and reduce the inflammation caused by acne. If you have been considering this type of AHA peel, you should understand how this ingredient may affect your skin, depending on its type and tone. For best results, mandelic acid peels should only be performed by a skin care professional or a dermatologist. A mandelic acid peel contains the AHA mandelic acid, which is derived and extracted from bitter almonds. However, it differs from glycolic and lactic acids in that its molecules are larger and do not penetrate the skin as deeply. As a result, there is less overall irritation when compared with other AHAs, which is beneficial for those who have sensitive skin that is prone to inflammation. In addition, mandelic acid has an antibacterial effect on the skin, which makes it a viable choice for those with acne-prone skin who want to have a chemical peel but are worried about clogged pores and irritation as a result. A mandelic acid peel is also a possible choice for those who have never had a chemical peel before and want results that are gentle on the skin. Acne, large pores, blackheads, whiteheads, fine lines, wrinkles, sun spots, and darker skin tones. Contraindications: Do not use if you have nut allergies. For those who are trying to fade the effects of dark spots on face, uneven skin tone, repair sun damage, and trying to treat the inflammation that occurs with acne; chemical peels that use alpha hydroxy acids (AHAs), such as a mandelic acid peel, can be quite effective. Mandelic acid, like glycolic and lactic acids, is an AHA that gently adheres to the skin in order to peel away dead and dying skin cells so that new cell growth is revealed and so that new skin cells grow faster. After several treatments, a mandelic acid peel can fade dark spots and reduce the inflammation caused by acne. If you have been considering this type of AHA peel, you should understand how this ingredient may affect your skin, depending on its type and tone. For best results, mandelic acid peels should only be performed by a skin care professional or a dermatologist. 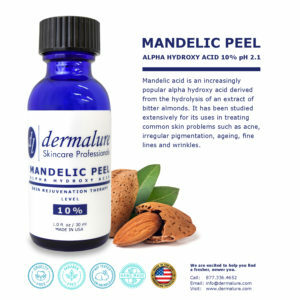 A mandelic acid peel contains the AHA mandelic acid, which is derived and extracted from bitter almonds. However, it differs from glycolic and lactic acids in that its molecules are larger and do not penetrate the skin as deeply. As a result, there is less overall irritation when compared with other AHAs, which is beneficial for those who have sensitive skin that is prone to inflammation. In addition, mandelic acid has an antibacterial effect on the skin, which makes it a viable choice for those with acne-prone skin who want to have a chemical peel but are worried about clogged pores and irritation as a result. A mandelic acid peel is also a possible choice for those who have never had a chemical peel before and want results that are gentle on the skin. When you arrive at the dermatologist’s or the medical spa, your face will be thoroughly cleansed, and the skin care professional may add a preparatory primer to your skin before they apply the peel. 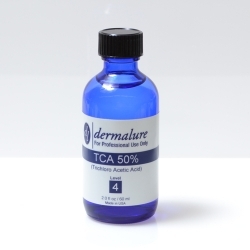 Depending on the skin care issue and your skin type, the mandelic acid peel will be left on your skin anywhere from five to fifteen minutes before it is removed. You may feel a warming sensation on your skin or you may feel nothing at all, depending on your skin’s sensitivity, but when the skin care professional removes the peel, you may notice that your skin looks pinker than usual. This is a normal reaction, as the mandelic acid peel has removed dead and dying skin cells from the surface of your skin that soap, water, and other cleansers cannot. If you got a mandelic acid peel for acne, your acne symptoms may temporarily increase for a few days before the inflammation begins to subside and the skin heals. This usually happens because the exfoliating properties of the peel exposes acne that’s brewing underneath a layer of dead cells, which may briefly erupt before the antibacterial effects of the peel take effect. 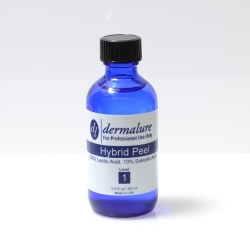 If you have concerns about any of the side effects you may experience after your mandelic acid peel, consult your dermatologist or the skin care professional who performed the peel. Ingredients Mandelic Acid, Citric Acid 5%, Water, Propylene glycol, Alcohol, Hamamelis Virginiana Extract. Side Effects: R&D has surfaced a temporary itching and burning sensation, heightened skin sensitivity, redness, peeling and flakiness. Aggressive high SPF sunscreen use is crucial for post-peel comfort and skin safety. The Benefits Mandelic acid is an increasingly popular alpha hydroxy acid derived from the hydrolysis of an extract of bitter almonds. It has been studied extensively for its uses in treating common skin problems such as photo-ageing, irregular pigmentation and acne. Mandelic acid accelerates the biological process of peeling the skin and helps control skin care concerns. 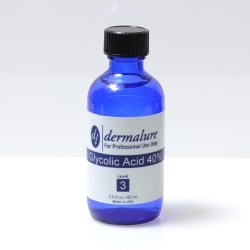 The molecular structure of Mandelic acid is larger than alternative alpha hydroxy acids such as glycolic acid, meaning it takes longer to penetrate into the skin’s surface and is much less irritating. The notable difference between Glycolic acid and Mandelic acid based products is the lack of skin irritation and erythema that often accompany skin treatments with Mandelic acid. This is one of many positive differences between the two different forms of acid, making Mandelic acid a safer medium to work with both professionally and when recommended for at home use. The results on different skincare concerns Fine lines and wrinkles Improvement of fine lines and wrinkles can be seen in patients with Fitzpatrick skin types I through VI without any post inflammatory hyperpigmentation response. Skin texture has a notable improvement and photo-aged skin is rejuvenated. Mandelic acid is a go-to anti-ageing ingredient in the world of skin care. It works to accelerate cell turnover by dissolving the tiny bonds that hold skin cells together, helping to remove dead skin on the surface of the skin that can lead to dull complexions as well as fine lines. It also strengthens collagen, one of the building blocks of the skin’s support network that gives it youthful firmness. This increased rate of sloughing thins the outermost layer of the skin called the stratum corneum. A thinner stratum corneum reflects light better and makes skin look smoother and more youthful. 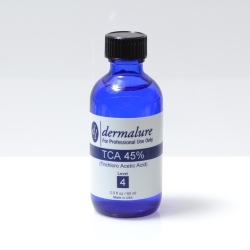 Mandelic acid and other alpha hydroxy acids generally soften the appearance of fine lines and wrinkles and improve skin texture. Abnormal Pigmentation Melasma, post inflammatory hyperpigmentation and lentigens (large freckles) are improved quickly when treated with Mandelic acid. Melasma (hormonal pigmentation) improvement can be seen by up to 50% after 1 month of treatment with no darkening of the Melasma, when darker skin types are treated. A sustained, gradual improvement is a characteristic of Mandelic acid. Acne improvement The result of Mandelic acid on acne sufferers is remarkable in patients treated with inflammatory, pustular, comedonal and papular acne. Patients with gram-negative folliculitis (inflammation of hair follicles) also showed improvement when using Mandelic acid. Mandelic acid has been found to be especially useful in treating adult patients suffering from both photo-ageing and acne. Mandelic Acid Peel Side Effects : While there is little to no down time needed for a Mandelic acid peel, you may notice mild stinging, itching, peeling, and flaking of the skin, particularly if you suffer from inflamed acne. However, these side effects are mild and only last two to three days. Not everyone will experience these mandelic acid peel side effects and their severity may be increased in those with sensitive skin. . Cleanse skin thoroughly before applying the peel. Cover the entire affected area one to three layer using cotton ball. After 3-5 minutes wash the area with cool water well. Use Dermalure Hyaluronic Serum to calm the skin or any moisturizer of your choice. . For external use only. Indications: Do not use if you have nut allergies.